Is Abortion the Thing That Most Angers God? There are varying opinions among Christians about abortion. Catholics sometimes blame Protestants for the decriminalization of abortion. They may be right. In the '60s, it was often Protestant Republicans who argued in favor of abortion against the Catholic Democrats who (mostly) regarded abortion as anathema. I say "mostly" because then-Gov. 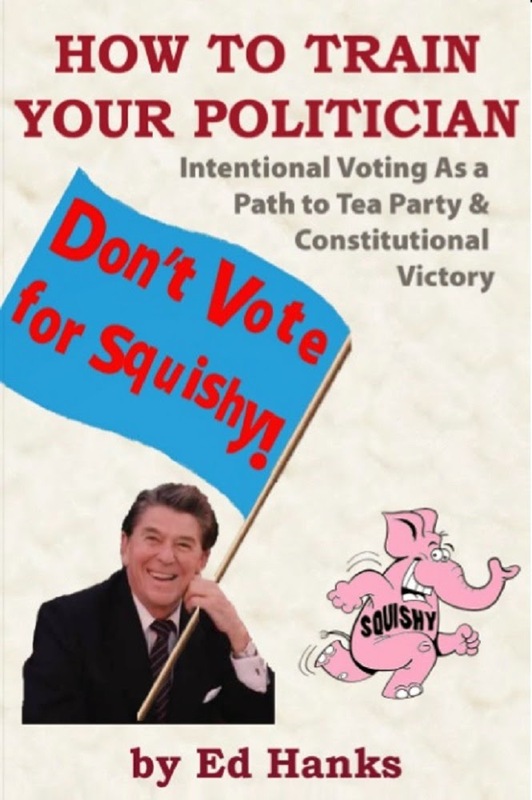 Ronald Reagan (R-CA) says he approached Catholic and Protestant religious leaders for advice when faced with the choice of whether to approve abortion in California in limited circumstances. He was met with confused, uninformed and contradictory responses, mostly from clergy who had never thought about it. Some Catholics regard abortion as a necessary evil, out of compassion for struggling moms. But these are the same Catholics who regard everything in the Bible as unimportant beside caring for fellow men and women through charity, welfare, etc. (or making the taxpayers care for them). We live in a broken world. No one can fix it until Jesus returns. The spreading of the Gospel is the only commission in the Bible. Nothing else matters. The Bible says nothing about abortion. Why are we getting involved? I want to get the first two out of the way quickly so I can address the third. Yes, the world is broken. But why did Jesus throw the moneychangers out of the Temple? Wasn't the world broken back then? What did He hope to achieve? Why did Jesus heal? Wasn't the world broken? Why did He call upon us to care for orphans and widows? If the world is broken, by this first point of logic, what lasting good would it do? Yes, we are called to spread the Gospel. That's how we save lives in Eternity, not just in the present. But Jesus, again, called upon us to care for widows and orphans, to be winsome, to train up our children... Someone who thinks the Gospel is the only important commission in the Bible hasn't paid due heed to the full context of the Bible. Those who recognized calls to other moral imperatives - not just regarding behavior, but calls to action - are the Christians who stopped the slaughter of slaves in gladiatorial combat, who banned slavery, and who campaigned for civil rights for Blacks and women. There is a long history of Christian moral activism, and we'd be a lot poorer as a world without it. Since I want to focus on a very specific, but fundamental, point, I'll refer to a comprehensive page at American Right to Life for a long list and analysis of anti-abortion scripture. Did Protestants in the 1960s believe the Bible said anything about abortion? I must - charitably (perhaps too much so) - assume they did not. To use the example about Ronald Reagan mentioned above, it's very possible that there was widespread ignorance of what the Bible said about that, and a lot of other things, in Protestant churches in the 1960s. Not that that was a condition unique to the 1960s. This issue persists to the present day, which is the primary reason why abortion is still an issue, and why Christian mothers, and even pastors (!!!) take their kids to have abortions. In general, it should be obvious to anyone who has studied the Bible that it condemns abortion. We are told "Do not kill the innocent," (Exodus 23:7 - The 10 Commandments). We are told when life begins (Psalm 139 & Jeremiah 1:5). We are given specifics as to punishment for killing an unborn child (Exodus 21:22-25, which provides a moderate penalty for causing premature birth, but indicates a life for a life and an eye for an eye regarding the death of the fetus). But is it possible that doing what we can to end abortion - aside from the preaching of the Gospel - is the most important of our duties as Christians??? How Abhorrent Is Abortion to God? I'm going to "read into scripture" a little, here, but not very much, considering the above scripture indicating that God values the unborn child as highly as a born child. For purposes of this blog post (and all blog posts) I assume that child & children refer equally to born and unborn humans. There are several places in the Bible where God seems really, really angry. I'm thinking of the worship of the golden calf idol while Moses received the Ten Commandments, for one, and of course the destruction of the cities of Soddom & Gamorrah. Consider, please, that God's anger with regard to Soddom & Gamorrah was brought on by a host of incredible sins and evil behaviors, many of which centered upon sexual sins and related deviance. I point you to another chapter of scripture where God was really, really mad. Jeremiah 19 (pictured right - if it's not showing up, or you can't read it, check BibleGateway.com. I'm using the New American Standard Bible because, while it's not my preferred translation, it's a very simple and plain language translation, which avoids some distracting quirks. God has sent Jeremiah to warn the Baal-worshippers of his anger and coming wrath, brought on by their behavior. Keep in mind, many of God's chosen people were drawn off into worship of Baal just as many Christians today are drawn off in worship of worldly things and beliefs. God is about to make a spectacle of this place and these people "at which the ears of everyone who hears of it will tingle." He's pretty angry! 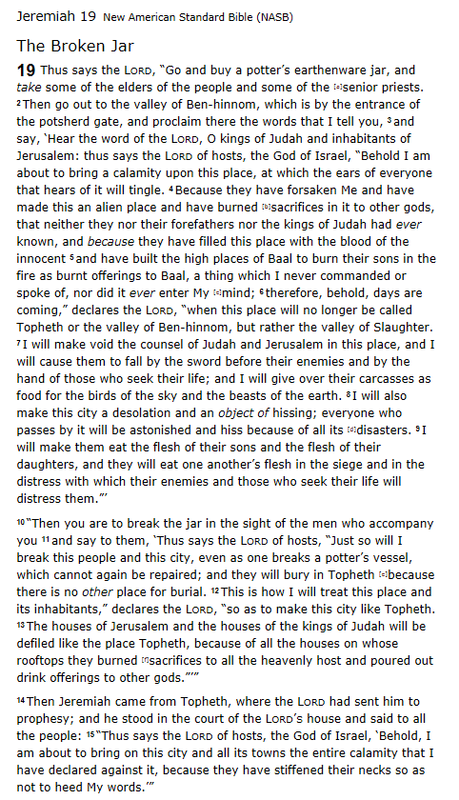 Much of God's anger is brought on, of course, by these peoples' worship of the idols and tophets of Baal. That's a big no-no, and always has been. But what does God use to illustrate in scripture why he is so outrageously angry about their behavior? In Jeremiah 19:4-5 God lists 3 things that have caused his outrage, and the 3rd is merely an extrapolation of the 2nd. They have forsaken me (God). They have burned sacrifices in this alien place to other gods. They have filled this place with the blood of the innocent. Specifically, who are "the innocent?" They are their own children! 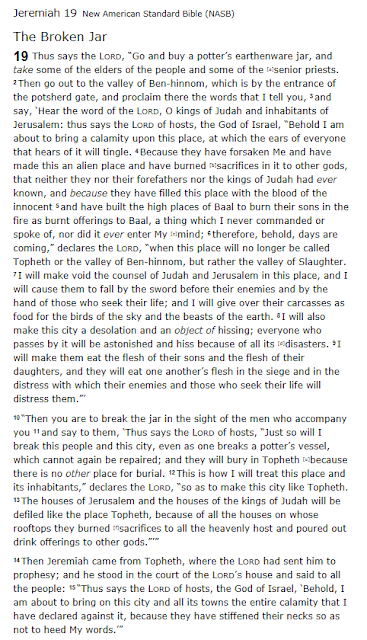 They "have built the high places of Baal to burn their sons in the fire as burnt offerings to Baal." It's hard for us to believe someone would do that. But historically we know that Baal worshippers, including the Carthaginians of Roman times, did this. And God was beside Himself about it (that's imagery, not a pun on the Trinity). But it reminds us of abortion, doesn't it? The sacrifice of ones' own children. And is it even, today, a perverted sacrament to the worship of the world and worldly things and ways? God was so angry about this that He illustrates how angry He is. You can sense His astonishment when He says, "I never commanded or spoke of, nor did it ever enter My mind." He's saying He could never imagine men could be so evil as to burn their own children on an altar. How Angry Is God About Abortion? So we know from scripture God wants us to make the world a better place, not just through our behavior, but through our actions. This is what caused Christians to undertake freedom for the slaves. How important is it to God that we end abortion? It's not much of a stretch - none at all, I'd submit - to see God as furiously angry over abortion in particular. Not only is abortion a sexual sin and often a representation of other sexual sins. It is an assault upon the very Image of God, because we are all formed in His image, and to destroy a human is to destroy the Image of God. And God also makes it clear in scripture that He cares much - seemingly more - about crimes against children. Jeremiah 19 makes that clear. Besides talk of fastening a millstone to ones' neck and drowning in the sea, theologian Wayne Grudem even suggests that Exodus 21 (noted above) sets a higher penalty for killing an unborn child than is set in Mosaic Law for killing a grown human. In any case, please consider this as a response to any Christian who dares to suggest the crusade against abortion is a misplaced or distracting pursuit. Much in this world offends God and makes Him angry, for certain. But abortion is almost certainly one of the most offensive - perhaps the most offensive - sins against God and His people. And, just as with slavery, this is a moral and ethical argument that can be made with or without reference to religion or belief in God. Abortion is just wrong, if one bothers to think about it. It's one of the most abhorrent things we see in our society. Almost every moral and ethical standard accepted by atheists, agnostics, Christians and most other religions alike says it's wrong to kill an innocent human being. I believe it is our imperative calling to pursue the banning or total abolition of abortion in our society, just as slavery is banned. All we have to do, as pro-lifers and abolitionists, is to point to the clear indications from science, logic and reason which show an unborn child is an innocent human being at any stage of development. If you understand this argument, and agree with it, I implore you to please donate to either or both of the leading anti-abortion and abolitionist organizations in the US - two groups that really "get it" in terms of how to end abortion. Supporting them is one concrete way we can achieve an end to all this evil. I sometimes wonder at the wisdom of the "regulating abortion to death" strategy (often called the "chip away" strategy because it nips around the edges, instead of attacking the heart of the issue). Most pro-life groups still support these measures. But is it a wise choice to support them, and to commit so much time, effort and money to them? Will their strategy not regularize and normalize abortion by creating a well-regulated industry? Will parental consent laws (while "saving some babies") not simply bring millions of grandparents into culpability for the murder of their grandchildren? Will 20-week bans, or "heartbeat bills", while "saving some babies" who look and function more like cute baby boys and girls, not ultimately teach society (and, frankly, pro-lifers) that any fetus without a heartbeat, brain function, or some other commonly suggested measure of humanity are therefore less human? Less deserving of rights? Less valuable? Will a law requiring a 24-hour wait so a mother can get an ultrasound, receive information about the humanity of her child, and cause her to reflect upon all this... While "saving some babies", will it not also convince the vast majority of mothers that inside their womb is a living, developing human child with their own unique DNA, with feelings (including the ability to feel pain), with a heartbeat, with fingernails and fingerprints... And yet it's your RIGHT as a woman to kill that unique, living human being. But a recent epiphany has caused a change of heart. (I mean this, of course, in the manner of Jonathan Swift's "A Modest Proposal" (1729) - one of history's first overtly pro-life publications). I hereby submit a modest tax proposal. If the goal is to "save some babies" through whatever means, as it certainly seems to be, then why not tax abortions??!! If abortion is made more expensive, obviously it will become more difficult to obtain one, and therefore become less common! A modest tax would have the real effect of reducing the number of abortions. We will have successfully "saved some babies!!!" For that matter, why be modest? An even higher tax would surely have a greater impact, and would save even more babies! Only the rich would be able to afford them! Abortion might even become a symbol of status... But I'm wandering from my point, aren't I? There's plenty of precedent for this kind of tax. It's called a "sin tax." You pick a social behavior you don't like and you impose a tax upon it. A sin tax has the added side benefit of generating tax revenue. The higher the tax, the more the revenue! I'm wandering from my point again, aren't I? I guess there's a danger that our state will become too dependent upon revenue from the abortion tax. There's got to be a way around that. Maybe we could use the money for "abortion awareness" - show people how awful abortion is, using TV advertisements funded by the abortion tax!! For that matter, if we really started pulling in revenue, we could have a full-fledged offensive against abortion in the media! It could start funding the whole pro-life movement! At least, until the number of abortions really started to go down. Then maybe we could increase the tax. But that would just reduce the number of abortions again. Hmm... How can we keep this going? Maybe, so that we don't completely lose out on all this funding, we could stick with just the modest abortion tax. That way we split the difference in a way that'll be more productive. A moderate number of anti-abortion ads, and a moderate number of "saved babies" could balance out so that we have a sustainable equilibrium. We could keep this going decades into the future! I guess this seems at cross-purposes with the idea of ending abortion. But the good thing is we'll be educating the public long-term about how awful abortion is. Forget Personhood! Forget abolishing abortion! Even if abortion never ends, at least we will have saved some babies, and at least we'll still have our funding, and a modest anti-abortion awareness campaign. In the end, maybe the government will even subsidize it. There are two parts - maybe two sections or clauses - to the Personhood anti-abortion strategy. The first is simple, easily grasped, and is understood and supported by the vast majority of pro-life activists. I daresay it's grasped and will be supported by a majority of the general population, easily enough, if we're able to carry the message to them. that killing that innocent human being must therefore be murder, especially in the absence of any "due process of law"
The second is a corrollary, and is therefore somewhat indirect, and is because of that somewhat more difficult to explain without a discussion. There are no soundbites to this corrollary. if abortion is murder - an abhorrent crime - then it cannot and must not be regulated, because you cannot regulate something that isn't legal. In fact, we in the Personhood movement, have often argued, it is counterproductive for pro-life legislators to insert "anti-abortion regulations" into the law in an attempt to "regulate abortion to death." This is a difficult task, since these legislators are, almost without exception, well-meaning men and women who are trying to achieve a positive partial result in the absence of an immediate fully positive solution. We are fighting 30 years of a driven habit, urged on by most other pro-life groups which have encouraged legislators to submit, push and pass dozens of anti-abortion regulations, thinking that it would at least mitigate the evil until that day when we can finally end abortion forever. 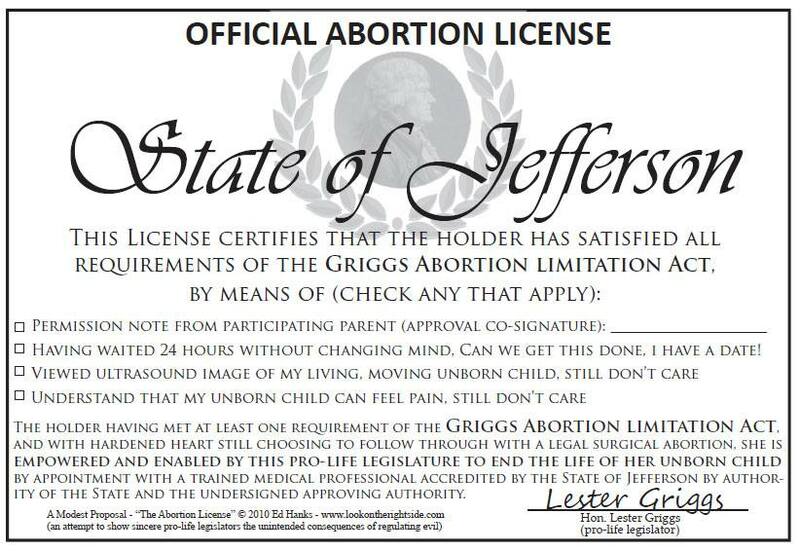 they imply that abortion must be legal, because you cannot regulate something that is not legal. In an attempt to make that point, I've sometimes mentioned that municipalities do not have a law that says "you may drive a car up to X speed." Instead they have a law that says "you may not exceed X speed." The fact that you can drive under that speed is implied by the regulations. But I've recently realized the most obvious example of my assertion is an obvious point of law, illustrated by a well-known court case. The US Constitution never said slavery should be legally allowed. 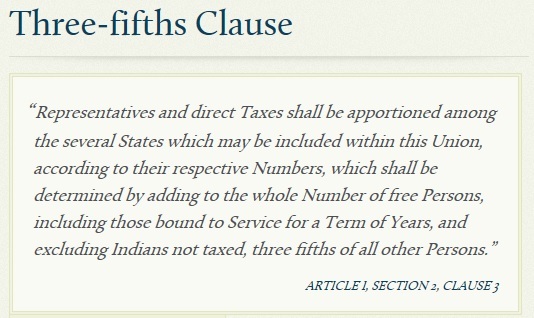 It says unfree persons should be counted as 3/5 of a person for purposes of representation and taxes (i.e. 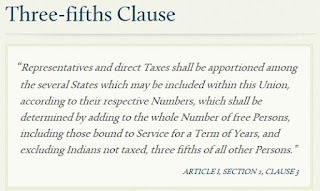 the "Three Fifths Compromise"). It says Congress may regulate the slave trade, but may not prohibit it before 1808. Let me reiterate that: The US Constitution at no time says slavery is legal! 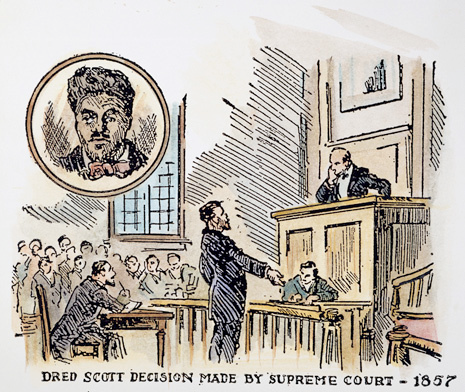 Nevertheless, in 1857, the US Supreme Court examined the relevant laws, the Constitution and the institution of slavery in the infamous Dred Scott case. They concluded, on the basis of two mere references to slavery in the Constitution, that the institution of slavery was a Constitutionally-protected right! 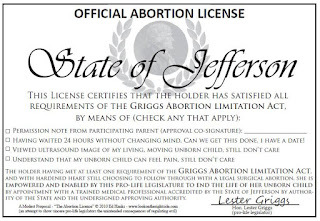 As I have often said, we believe merely mentioning abortion in law, except to explicitly and completely prohibity it, will backfire and give reason to courts and judges to rule that abortion must be legal by the very fact that the law sets limits upon it and regulations as to how it must be performed. Dr. Charles Rice, late Professor Emeritus at the Notre Dame Law School, has argued this more ably and effectively, in a series of articles over the course of his life (he passed away in 2015). He believed such "anti-abortion regulations" would create a foundation in law for the legality of abortion. 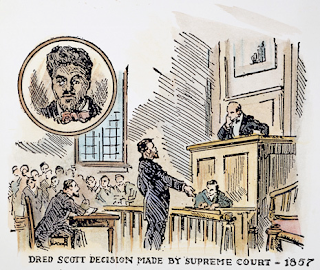 And here, in the Dred Scott decision, we have proof that courts will take the flimsiest of implications to rule in favor of what they believe should be the law. But, in reality, it's not that flimsy of an argument. It's completely logical, as we've said, that you cannot regulate something that is not legal, and therefore something that is regulated must be legal. We, in the pro-life movement, must be careful not to overstep that line. We should not be inserting "anti-abortion regulations" into the law for a great many reasons. They, in fact, will perpetuate the existence of abortion, just as anti-slavery regulations in the 1800s perpetuated slavery. We, in the Personhood movement, ask all pro-lifers to recognize the futility of anti-abortion regulations and support Personhood. Support ONLY Personhood. Note: I'm using the term "anti-abortion regulations" too broadly, merely for effect. We in the Personhood movement believe there are such things as "principled regulations" that cause a positive, pro-life effect upon the law, but do not at the same time impugn the humanity of the unborn child. These laws do not mention abortion and are fully compatible with the interpretation of an unborn child as a human being. An example of a principled fetal homicide measure (here) has been submitted several times in Colorado, and once got far enough in the process to receive the vote of every Republican legislator in the Colorado House. Planned Parenthood regularly opposes this language, and browbeats every Democrat into voting against it, because they believe the unborn child must be considered as worthless under the law through 9 months of pregnancy, up until (and sometimes after) birth.